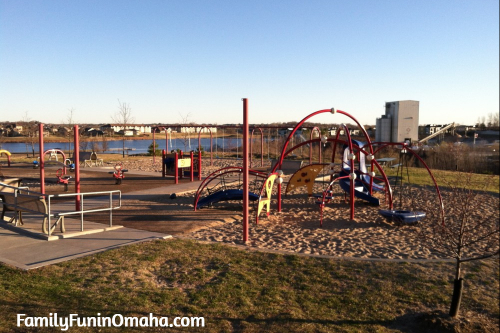 When my kids were younger, we loved exploring new parks and playgrounds. 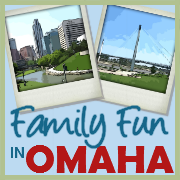 Omaha is full of neighborhood parks with walking trails, playgrounds, swings, picnic areas, and more! 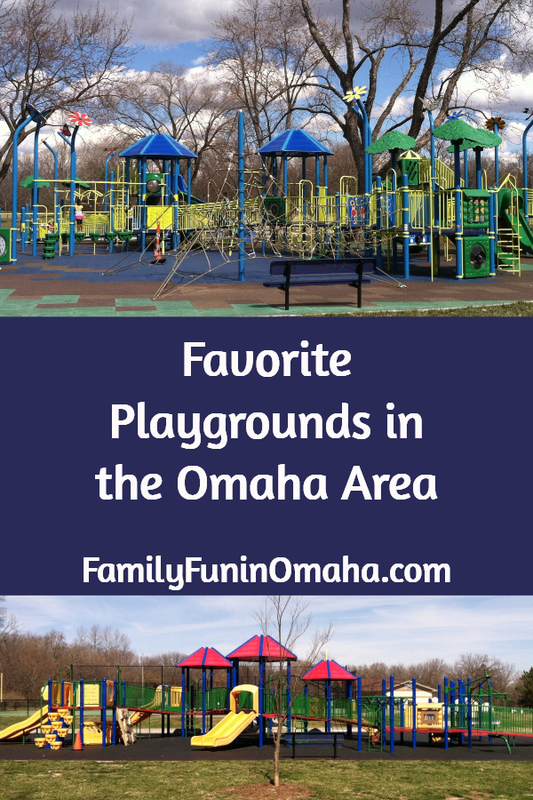 Enjoy exploring some of the best playgrounds in the Omaha Area! 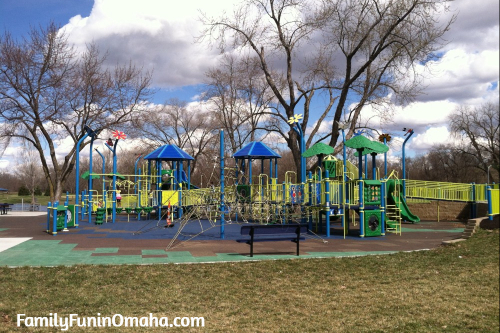 TIP: Playgrounds at elementary schools are perfect for fun on the evenings and weekends! 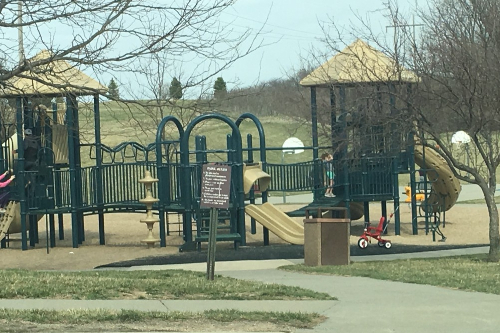 This newer park includes a Playground, Fishing, Walking Paths, Lagoon, Picnic Area, and a Sprayground! 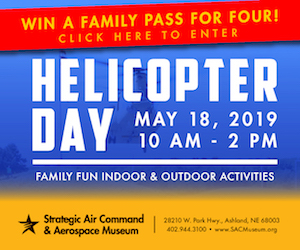 The Dream Playground Re-Imagined project is a community-based and volunteer-built initiative to revitalize and expand the Dream Playground with a new area that provides accessibility to all. 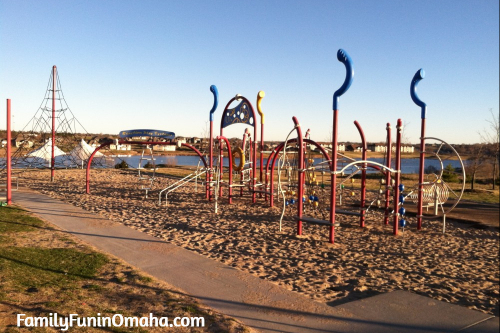 Fun mud and sand-free playground with swings, baby swings, picnic area, and more. 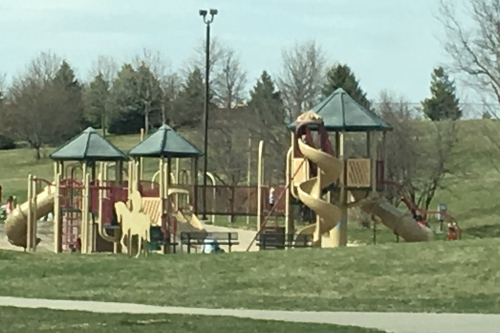 Playground, Picnic Area, Open Space, and Sprayground nearby. 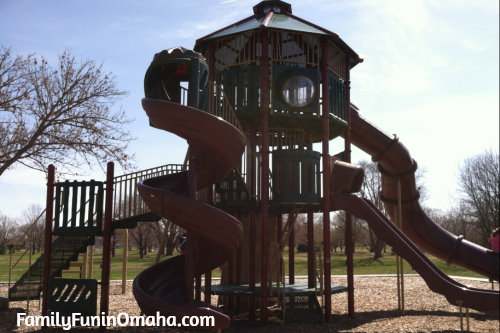 The kids love this 3-story playground! 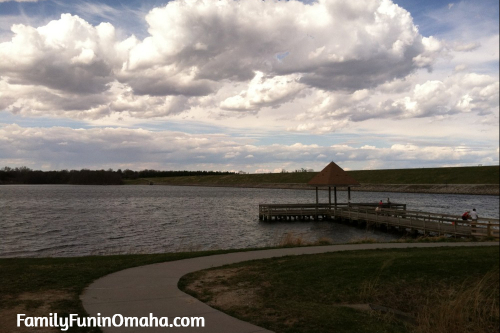 Beautiful park with walking trails, playgrounds, shelters, fishing, and a large pavilion. 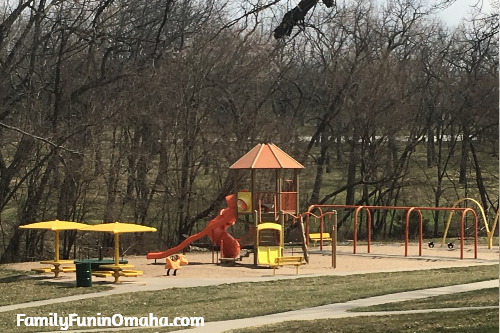 Reader Tip: One of my favorite things about Halleck Park is the swing that is counterbalanced so an adult and a little one can swing face to face! 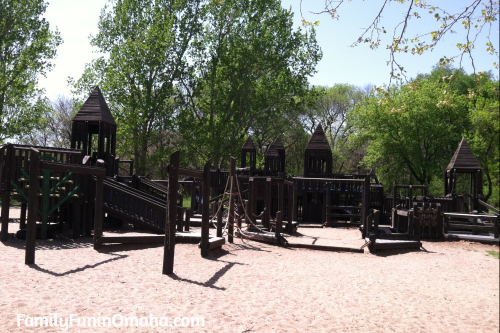 Picturesque park with a big open space, playground, picnic area, and more. 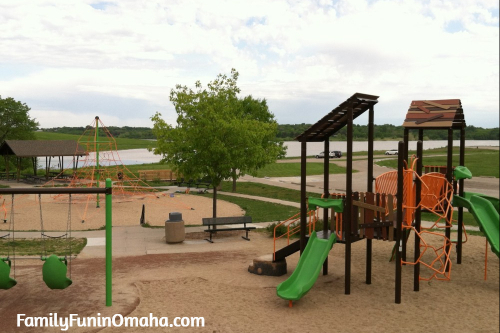 Climbing tower, playgrounds, walking/biking paths, swings, many open spaces, fishing, and more. 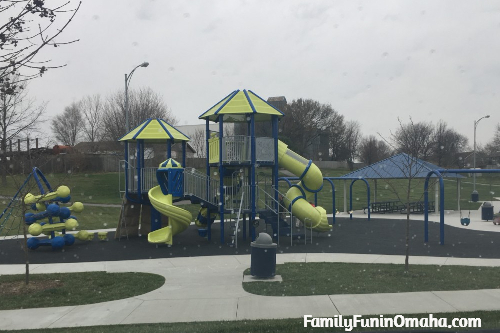 Climbing structure, swings, 2 play areas, shaded area, fishing. 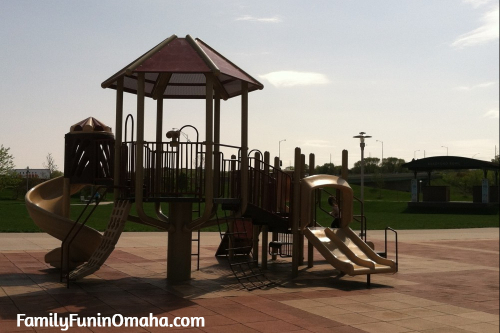 Big, expansive park and playground with many play features. 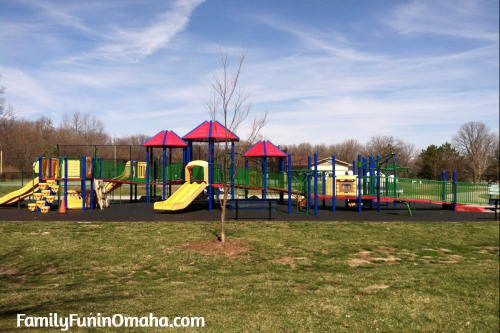 All-Play complex, Sprayground, Disc Golf Course, Skate Park, Picnic Areas. 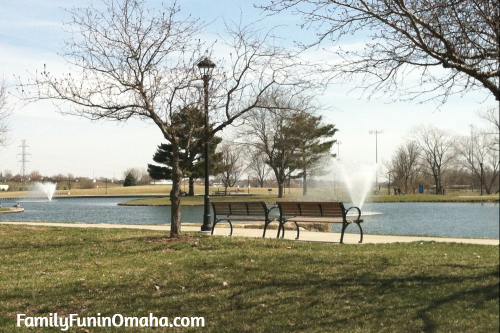 Popular park near tower and water feature, shops, green space with many events. 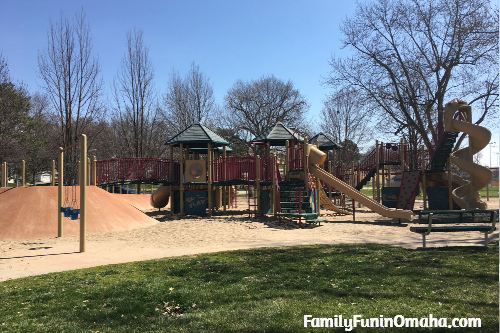 Wooded area with lagoon, walking paths, playground, picnic areas, shaded areas.